Finding a right methodology that will work for your company. If so, this is the right book for you. We discuss the secrets to answer the above questions in this handbook. 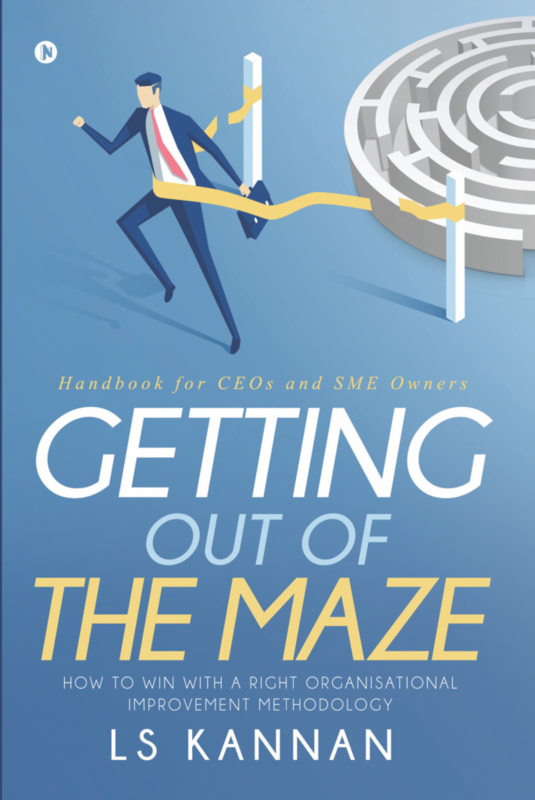 This is an attempt to help the organisational leaders and SME owners in Getting out of the Maze of Organisational Improvement and find a right methodology. Learn why and where people devised these modern management methodologies and then device your own style. Unlike typical management books, this book deals with a right mix of history, concurrent practices and twist and turns like a story. Download the Table of Contents here! We discuss the unique Methodology Matrix to find the suitability of the methodology based on your organisation’s processes, products, people level and management involvement, etc. Unless we understand the principles of Cash to Cash Cycle, our Lean initiatives will not succeed. Similarly, understanding the Principles of Six Sigma and Problem Solving with Kaizen Approach will help us in building the robust problem-solving mindset. Your perspective of business improvements, management methodologies, improvement tools and technique will not remain same right from the first reading.